Study Groups, also know as Learning Opportunities, are a wonderful way to make new friends while participating in exciting, educational activities. Our programs are designed to be informative, fun, and facilitate discussion and thoughtfulness. Every year we aim to provide our members with a wide range of activities for all interests. Each session is lead by a BNC member or a speaker from the community. Past study groups have involved book discussions, guest speakers, trips and tours, films, and the ever popular University On Wheels series where a Brandeis professor presents a topic of interest. 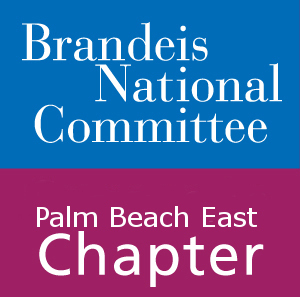 In order to attend study groups you must be a current member with the Palm Beach East Chapter or another chapter of BNC. Study groups are associated with a one time $50.00 payment which entitles you to all sessions. Prospective BNC members may attend one session before committing. Guests are required to pay $5.00 to attend. Curious about past groups Study Groups? Check out last year’s Study Guide!